We welcome educators and administrators looking for effective teaching practices and strategies to implement in an elementary school STEM setting. 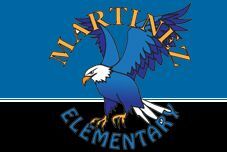 Martinez will host STEM Tours on Monday, May 20th 9:00 a.m.-11:30 a.m. Tours will include classroom observations of all grade levels, conversations with staff members and students, and a brief question and answer session. If you are interested in joining the STEM Tours, please complete the form below. Note: Only one representative from each school needs to complete the form. A maximum of 25 educators will be accepted. Use the link below to sign up for the tour.